Welcome to the Central Texas Reporter! You know it. We know it. The mainstream media simply won’t do its job. The Killeen Daily Herald, The Temple Daily Telegram, and The Waco Tribune won’t act as government watch-dogs. The local TV stations like KCEN-TV and KXXV won’t do it. The radio stations in the area refuse to cover true corruption and cronyism in government, so we’re going to do it here at Central Texas Reporter. 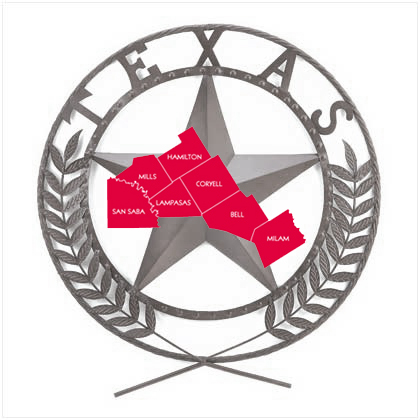 This website is dedicated to the reporting of the truth to the people of Central Texas, whose local government officials have colluded too often with private interests in the abrogation of the rights of residents of Central Texas. We believe the scandals over the last few years are just the tip of the iceberg, and it’s now time for citizens of Central Texas to stand and be counted. We need to get the crooks and liars out of elected or appointed office, and to do so, you will need the truth about them. We do not reveal sources to any authority without the expressed, written consent of those sources. Ever. We’re always interested in stories of fraud and corruption. You are welcome to make submissions to centraltexasreporter@gmail.com, but please understand that we cannot use all stories, and we cannot investigate every lead. We will make contact with you if we think we can use your story. We particularly enjoy local government whistleblowers, as it is our experience that many of these stories go unreported and are “open secrets” for many years in some small communities before they ever gain public exposure. Also be mindful that we can only cover so large an area. If you’re within fifty miles of Killeen, Texas, we may well be interested. If you live in a county that borders Bell or Coryell counties, we may well be interested. Readers may have heard of the case of Blue Heavens Farm, owned by Marijeta Medverec, of Copperas Cove, Texas. Her 67 acre farm is off of Hwy 116 North, just outside Copperas Cove, and it is a prime area for development as Copperas Cove continues to grow and expand its tax base. The property would make for a tremendous housing development, but before that can happen, Ms. Medverec must go. Never fear, official oppression through crony-capitalism being the order of the day in Coryell County, Texas, operatives have seen to it that Ms. Medverec will be forced into selling the land. They have accused her of abusing or neglecting her animals, or keeping them in unsanitary conditions, or in cruel confinement, as the allegations have been as vaporous as the entire procedure’s linkage to law. The Sheriff’s office executed a warrant to seize all of her animals, including 34 horses, some goats, and a few head of cattle, along with three pigs. They have done this precisely because it’s a charge they can’t prove, but don’t need to prove either, and can merely make the accusation. The problem is that the legal system is being used as a tool to attack private property rights, as well as to aggrandize local officials seeking a big media score, and while there is no actual justification for the seizures of the animals, the county continues to hold the animals as though there had been some factual basis. The matter is being heard in the court of Justice of the Peace for the 4th Precinct of Coryell County, Coy Lathan. “(KCEN) — Over 100 animals have been seized from Blue Heaven Farms outside of Copperas Cove on July 19. The sheriff’s office executed the warrant for Animal Seizure at the farm located on Greenleaf Drive. The warrant was for horses, cattle, goats, donkeys and pigs. The alleged owner of the animals, Marijeta Medverec was keeping the animals in unsanitary conditions. So far 34 horses, 10 cows, 7 donkeys, 54 goats, and 3 pigs have been taken from Blue Heaven Farms. More animals are still being loaded up and transported to a holding area outside of Gatesville. They will be kept there until a hearing to determine the disposition of the animals. As if JP Lathan’s Kangaroo Court wasn’t bad enough, attendees in court would have witnessed that there was no provision to record the proceedings, and that there were no charges at all against Ms. Medverec, and it was initially explained that this had been a hearing. The defense attorney was even confused as to what sort of plea to enter, since there were no charges under consideration. What was at stake in the hearing was the disposition of Medverec’s animals, but none could say with certainty the basis for the removal, including the County’s Attorney who seemed more intent on leading witnesses in a fashion that would be considered a mockery of justice in any real courtroom. Of course, there will be no official record of the testimony, since no means of recording was evident in the courtroom, and no court recorder was present. It’s hard to understand how something like this could happen until you understand the backwards nature of justice in Coryell County. There sits a Sheriff who is a politician, and is out to score propaganda victories in the press, as is the County Attorney, but none can say what the actual infractions of Ms. Medverec have been, as it seems the allegations are a moving target of vague notions about the conditions of the animals, and the conditions of their surroundings at one particular time or another. As near as this reporter can discern from all reports, there really is no basis for the case except that since the JP in question issued a warrant that would be laughed out of a real court(and thus the reason the Sheriff’s Office sought a seizure order there, rather than in a proper county courtroom,) because Coy Lathan isn’t a trained jurist, he does not know the rules of civil procedure, and he does not know how to conduct a trial of any particular consequence, nor control attorneys, nor in any way manage a courtroom. The scene was something truly out of the wild, wild west, complete with an inept judge, and a County Attorney seeming to act at once both as counsel for the County and witness for the non-prosecution, answering his own questions and otherwise posing as an expert on all sort of matters including everything from animal husbandry to farriery, but apparently not the law. It is no wonder there was no recording of the testimony in any form, or of the court proceedings in general, because it would have been a blight on the annals of the history of law. As it is, absent an actual record, the JP will be able to sweep this case and his incompetence under the judicial carpet as he returns to his ordinary duties including pronouncing mangled bodies dead at the scenes of accidents. The questions remains: Do the people of Precinct 4 in Coryell County have any inkling of what sort of goofball they’ve elected for this position of public trust? After a full day of testimony, the JP announced to the court that he would issue his ruling at 10am on Thursday. One wonders if he needs the additional time to bone up on the law he seemed incapable of adjudicating. It is speculative at best, but one theory is that he’s trying to figure out some way to justify the warrant and seizure orders he issued, while somehow respecting the fact that this is a trumped-up case, but also that the county is on the hook for an alleged $33,000.00 in animal care over the period of six days that the various farm animals had been in the county’s care. If he were to rule in Medverec’s favor, it is inconceivable that the County wouldn’t be forced to eat this hyper-inflate bill, so Lathan is going to have some explaining to do if he doesn’t order the permanent removal of the animals. Naturally, it is on this basis that it can be predicted without the foresight of Nostradamus that he will perform some sort of legal gymnastics to make it come out well for he and the County. That’s how justice works(or rather, doesn’t) in Coryell County. Medverec owns the farm, but somebody else wants it, or at least wants it gone. Whomever wants the land, they are using contacts within the Coryell County Sheriff’s Office to carry out their dirty work, because even if Medverec has not been charged, while her animals are held by the county, she’s accruing a bill for their care although there is no justification for the seizure or holding of the animals. In fact, the county now wants to make something, anything, stick in order to justify the seizure, and it is this moving goal-post and burden of evidence that will ultimately break Medverec. After all, as the county builds up a giant bill for the care of her animals that ought never have occurred, they are digging a hole in which she will be financially buried. Once she’s in that position, the county can seize the land over the lien, and auction it. I wonder who will buy the land if this should come to pass? The county will naturally auction her animals, and most will make their way to slaughter, begging the question about the nature of the alleged wrongdoing, and “who done it:” Medverec, or the County? This is the crooked nature of everything about so-called “justice” in Coryell County, Texas. That the citizens of this(or any) county stand for any of this is a scandal reflecting the complete detachment of most citizens from the day-to-day affairs of their government. In short, while residents are oblivious to the monstrous actions of some local government officials, their lives are being stolen from them, one-by-one, and they have the added burden of paying for this circus. Most JPs would know that this is out of their league, and kick it up to the county court, but this JP has decided to hold a trial of this sort? Something stinks in all of this, and either the JP is being played by the SO, and the County Attorney. Coryell County Cronyism and Official Oppression is alive and well, and it even has possession of justice, making the whole situation into a case infinitely worse, an indictment of the criminal justice system writ large across the face of Texas. It’s a blight on the Lone Star State. What this entire case consists of, in fact, is the complete standing of justice on its head. A citizen should be able to turn to his or her government for relief against theft and coercion, but in this case, Medverec may well be robbed at gunpoint by the government. Chew on that with your morning coffee. Secure in your papers and effects? Not in Coryell County, Texas, where law is the servant of the lawless. We can’t promise we will answer every email, or pursue every story, but it’s time somebody blows the lid off corruption in Central Texas. You can help. Update 8/12/2012: It seems this case is getting some additional attention. We’re hoping to reprint a story from another blog site once we get permission. This site is dedicated to the proposition that local governments can govern best, but that only an active citizenry can prevent them from abusing the people.